Samsung won’t be counting on the Galaxy Note 7 to boost its popularity anytime soon. 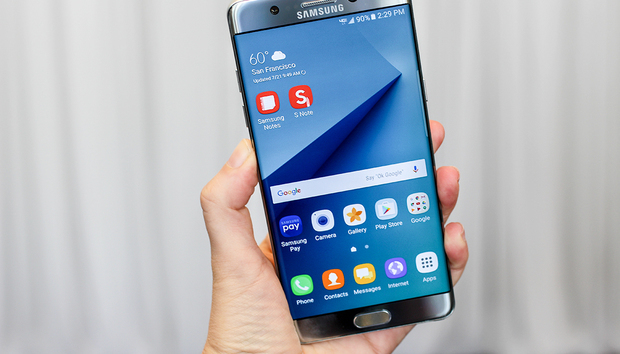 The company confirmed on Thursday that it halted shipments of the Galaxy Note 7 to three South Korean carriers, according to Reuters. The news comes on the heels of a report by South Korean News agency Yonhap about five claims of the devices “exploding” during charging, from all around the globe. Samsung didn’t want to say why it had decided to halt Galaxy Note 7 shipments in its home country. Nor did it say whether shipments in other countries have been similarly delayed. Samsung simply stated that it needs more time for additional quality control testing. So far there’s no word of a recall, or if this problem affects devices sold in the U.S. There’s also no news on why the devices exploded, though the battery is said to be the likeliest culprit. The Galaxy Note 7 started shipping in the U.S. on August 19. Samsung’s newest phablet can help you log into a Samsung Windows PC using the phone’s onboard fingerprint reader. The Note 7 also comes with an Iris scanner, a Qualcomm Snapdragon 820 processor, and a USB Type-C port. The impact on you at home: If you already own a Galaxy Note 7 you may want to talk to your carrier or retailer to see if any steps are being taken at this point. In the meantime, it’s probably best to never leave your Note 7 unattended while it’s charging until Samsung offers more information.